Will the sequel to The Amazing Spider-Man be a lot more heavy on the science of Spider-Man? Let's not forget, a whole "genetically modified Peter Parker" storyline was cut at the last minute from Marc Webb's first movie. Did the director find a way to weave the fake science back in the second time around? Watch all 17 minutes of deleted scenes from Amazing Spider-Man right here! 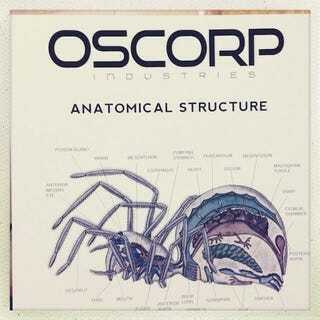 His latest tweet reveals Oscorp's "Patient Zero," which is a spider. Is the giant company still trying to unravel the secret behind the ultimate formula which changes mice into CG monsters? Perhaps.